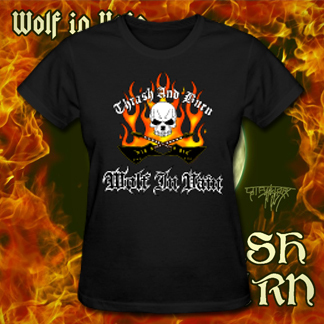 Women's black t-shirt featuring the new Wolf In Vain logo for the 2013 EP, "Thrash and Burn". 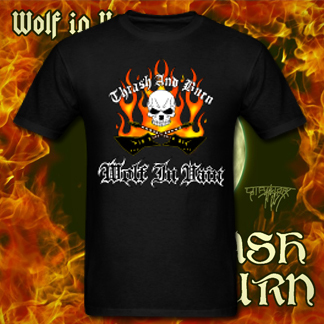 Men's black t-shirt featuring the new Wolf In Vain logo for the 2013 EP, "Thrash and Burn". The shirt will be replacing the original version shortly. Four severely insane tracks written by Taylor Colo'n and, before his departure, Matthew Lambert. 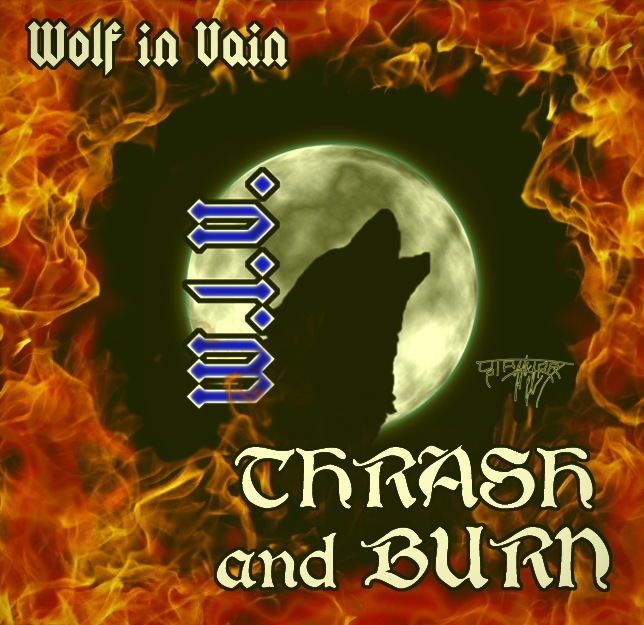 Now available as CD format. Artwork done by Taylor Colo'n himself. 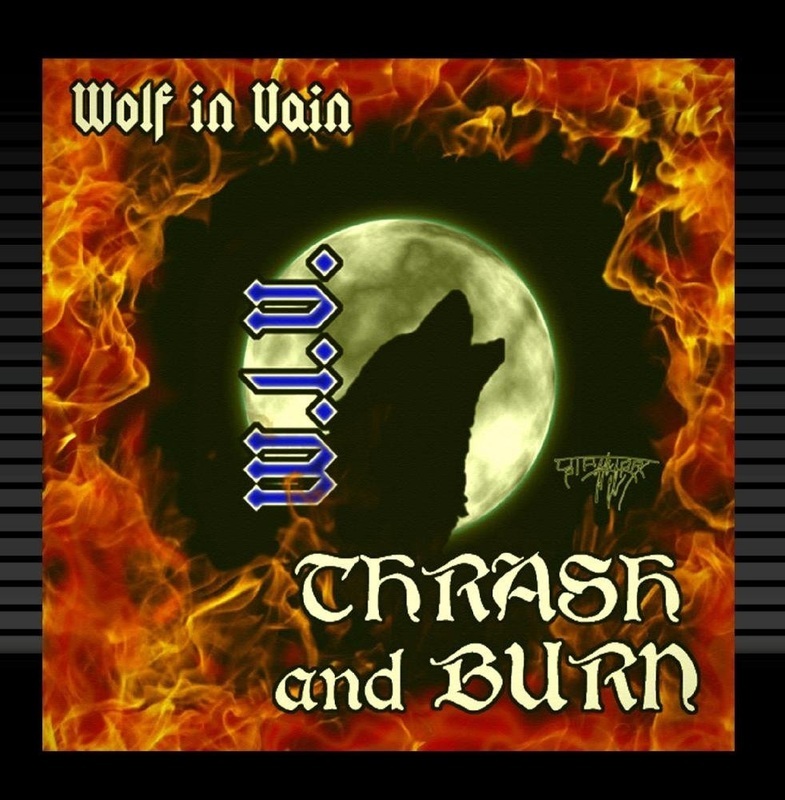 Four severely insane tracks written by Taylor Colo'n and, before his departure, Matthew Lambert. Artwork done by Taylor Colo'n himself.